Testing on the host platform enables functional testing without consideration for hardware timing or constraints. Often this is performed prior to target hardware availability. In some development environments, simulators extend this capability by giving software team “virtual” targets and simulated connected peripherals to provide a jumpstart on verification activities early in the development cycle. Ideally, and in most certification environments, the same tests executed on the host must also be executed on the target hardware to ensure proper functional testing. Rather than writing your own code for test harnesses, vectors, and stubs (and then having to manage all of those both on the host platform, with simulators, and on the target), automated unit testing and target testing tools can save you time and headaches by doing all this for you. 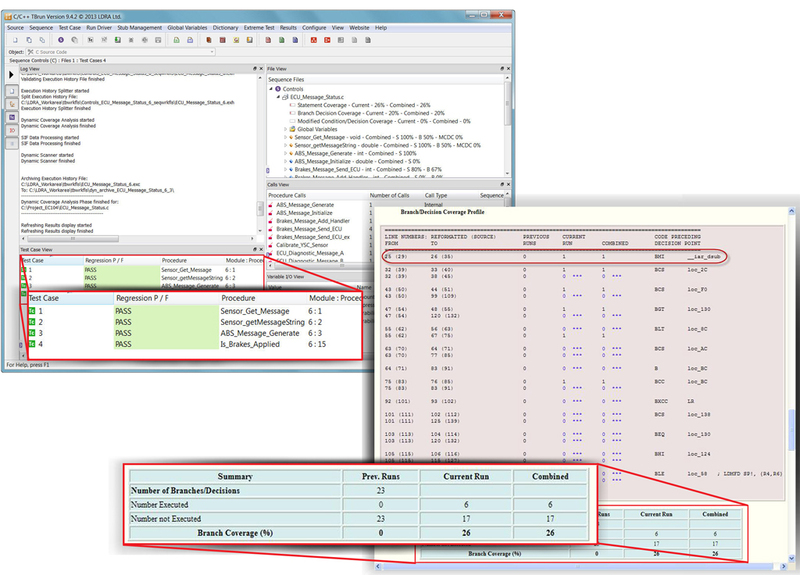 With LDRA, you can quickly and easily generate and execute tests at the unit and integration levels, both on the host (standalone or with target simulation) as well as on the target hardware. We provide test generation (test harness, test vectors, code stubs) and result-capture support for a wide range of host and target platforms. Our optimised instrumentation technology lets you pull test information even off highly constrained 8- and 16-bit microcontrollers, and through high-performance 32- and 64-bit processors. With that range of support, your team has a common unit testing and integration testing environment for multiple projects with different target platforms.